Our project has been very popular in Greece recently. 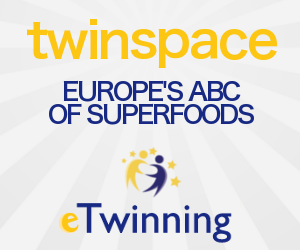 An article on our project has also been published on Hellenic Etwinning's facebook and twitter. A two-page article on our project is published in the July issue of U Girl magazine in Greece.This is a popular magazine for teenage girls, so our work and etwinning will be widely known all over Greece.Excepting presenting our work, the article includes students' answers to the journalist's questions concerning our project. This is Christina Kasinti's interview with Mrs Karagianni, for the Voice of Greece or ERA 5 radio. ERA 5 is part of the Hellenic Broadcasting Corporation and it is a voice that reaches the four corners of the Earth, as its is heard in all 5 continents. Except for 19 Greek bulletins, ERA 5 includes informative programmes, of political, cultural and folklore interest .ERA 5 reaches the Greeks who live abroad and is also intended for foreigners living in Greece, as its daily program is in many languages at short and medium wavelengths.Furthermore, it has joined the world community of the Internet with live transmission of its program 24 hours a day.We really enjoyed that interview and you can listen to that, too!